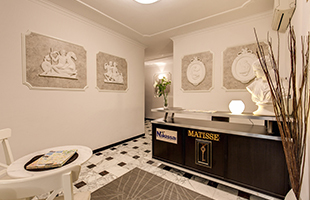 The Nakissa Inn Rome guest house in the centre of Rome 5 minutes walk from the Coliseum is situated in a historic Italian palazzo opposite the trendy district of Monti. 24 hour access to the kitchen area. Visit our Photo Gallery page for a better idea of just what great value for money Nakissa Inn actually is. 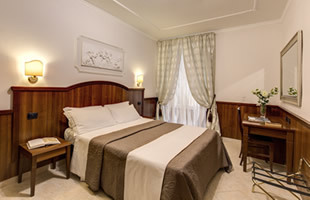 The Nakissa Inn Rome guest house is proud to also offer guests an excellent level of friendly service in addition to its comfortable rooms. Our multi-lingual highly trained staff are keen to make your stay as pleasant as possible and to this end we offer a variety of services that one might expect of a more expensive hotel. From the moment you check in after 2pm until the moment you check out before 10am, we aim to be as helpful as we can. To this end we therefore operate a shuttle service to take guests to and from the airport (surcharge applies) should they desire, and indeed our shuttle service is available for other destinations throughout Rome. We also operate a currency exchange service and babysitting services to help our guests maximize their time exploring Rome. 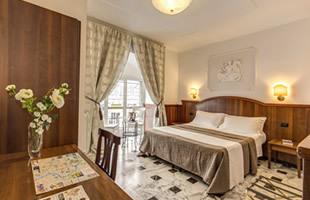 With our tour desk service in addition to our ticket booking services, guests can therefore be assured of access to the city’s best attractions whether that be museums, art galleries, the Sistine Chapel, Vatican Museums, guided tours of the Coliseum or the Imperial Roman Forum, we can really make sure that you’re well looked after. So what are you waiting for? Make your booking today using our completely secure online booking system and enjoy the lowest possible prices through this, our Official Site! To fuel your day of sight-seeing and exploration, we also provide a complimentary buffet breakfast, and the plethora of restaurants in the area mean that you can sample the famous Italian cuisine in the most traditional of places.